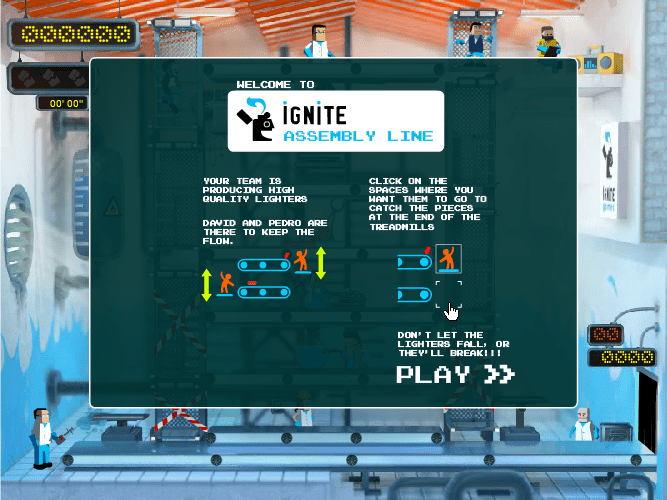 Ignite’s Assembly Line is an Online Action Game. The game design was also mine (co-author) and the game just gets faster and with more things to do as time passes by. 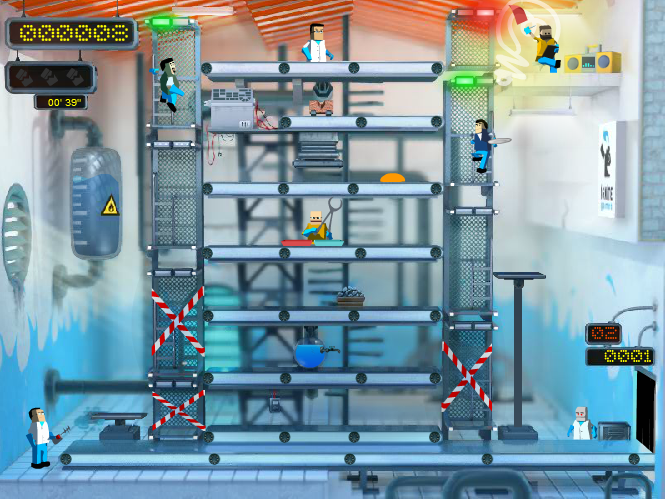 The storyline was intended to show the day-to-day work of our studio and the characters of the game represented each of the studio members. Each one of us was supposed to do something, from creating raw materials to transforming them with the goal of producing lighters (our games!). My character was responsible to make sure the bits and pieces got together moving from one production phase to the other (kind of mimicking what I did in real life). The game is still playable here and it was one of the things I liked doing the most, despite being a very simple flash game. I was also responsible to make sure the game would be published (Big Fish Games published it).